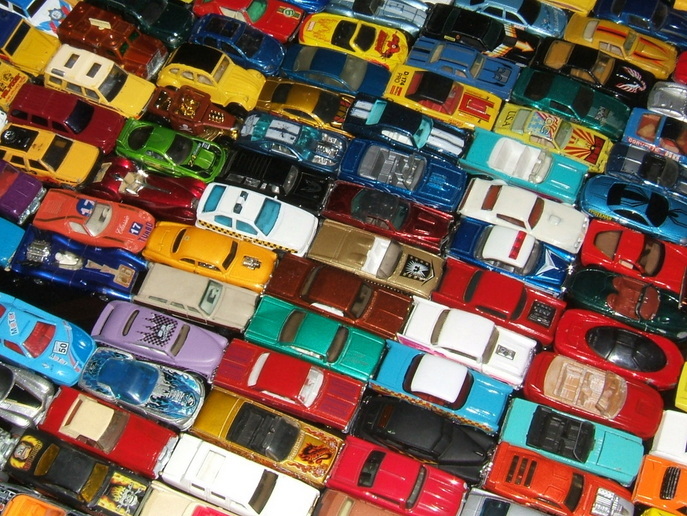 No matter what your age, collecting model cars can become an exciting hobby, but also a good investment as many toy cars increase value over time as they are collectible items. This hobby has been around almost as long as the automobile, and yet, it is still a passion of many! Scaled models are manufactured in a range of scales such as 1:12, 1:18, 1:24, 1:32, 1:43, 1:64 and others. Cars that are especially attractive are those with a real eye to detail. Doors, hoods, trunks and fuel caps that open, ashtrays that slide out and glove compartments that work are some of the realized features. Some models of cars even have hanging ignition keys and removable hood pins to open the hood. Most have working car steering and suspension with real materials used in the interiors. The best quality I enjoy about myself is my Passion for Cars. I love every single part about these street machines. I love the sound, speed and especially the looks of these rolling masterpieces. The inspiration of cars will never escape out of my mind. This quality about me will never change or alter in any way. I dream them, I feel them and I think about them all the free time I have. You would find Cars Magazines, Cars Brochures on my Shelves and Cars Posters on walls of my room. 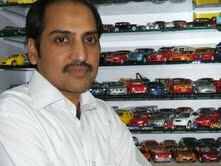 Diecast car collection is my childhood passion and so far I have over 4000 car in my collection'. As I have been engaged with cars since childhood, there are so many pleasant memories with me such as contribution of my great father and mother, especially I miss my lovely mother very much, said good-bye to me (forever) after 2 months of my marriage. She was very caring and always promoted and appreciated my passion. She also educated me how to care things that is why I have my 30 years old toy cars with me today. I really appreciate my parents and their efforts to promote my passion. They never refused whenever I asked for a Toy Car! My favorite car is 1982 Pontiac Trans Am, which appeared in the Hollywood TV Series “Knight Rider”. This car used as K.I.T.T. (Knight Industries Two Thousand) in the Series. It is my dream to drive world’s fastest sports car Bugatti Veyron. German inspection officials recorded an average top speed of the original version of 408.47 km/h (253.81 mph) during test sessions on the Ehra-Lessien test track on 19 April 2005. This top speed was verified by James May on Top Gear. I would like to clear one thing here that it was much difficult to collect a huge number of die cast cars in Pakistan because of their non-availability. Every new car model was very much important for me and it slept with me under my pillow till another one replaced it. Eid-ul-Fitr, the day full of excitement for me at each year because car models were presented to me as Eid gifts from my parents. Similarly, I always preferred to purchase car models from Eidy. I have car models of yesteryears too, highlighting my collection as category of “Antique Cars”. I have also models of NASCAR, London Bus, London Taxi, American School Bus and Hollywood Movies Cars like (Knight Rider, Dukes of Hazard, Gone in 60 Seconds, The Italian Job, Fast & the Furious Series, Back to the Future, the animated movie CARS and various Cartoon Characters). My father told me about the Matchbox dinky cars (Made in Great Britain) and Majorette dinky cars (Made in France) which were easily available at Super Stores in Lahore worth Rs.10/- in the year 1977-1978. The friction power Tin toy cars (Made in Japan) were also available in Pakistan in 70s and price was Rs.25/-. I have also few models of Tin toy cars. This kind of treasure takes decades to build, hours and hours of care but if you have the passion then all that hard-work brings pleasure and always keeps a smile of satisfaction on your face. I have also given my interviews on GEO, ARY, CITY42 and DUNYA, the famous TV channels of Pakistan. Please visit my website http://www.mytoycars.weebly.com and have a look at my passion collection.